When I first started out Blogging, I had no idea where to start when it came to making graphics. Although my creativity was growing and my skills developing, I still needed a little nudge in the right direction. 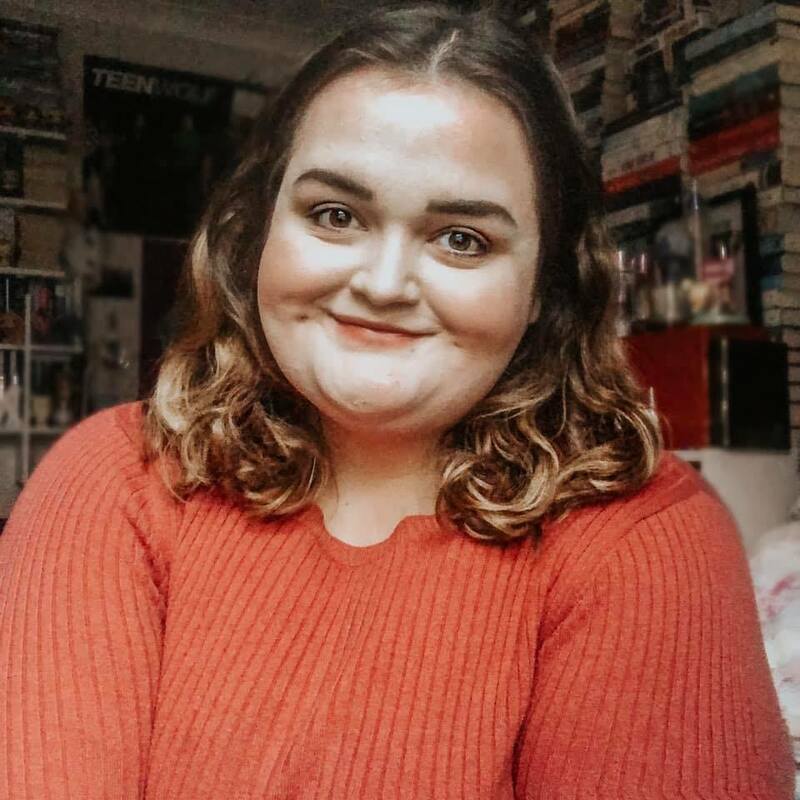 So, years later, armed with tons of knowledge and newfound skills, hints and tips, I'm here to share with you my first tutorial here! 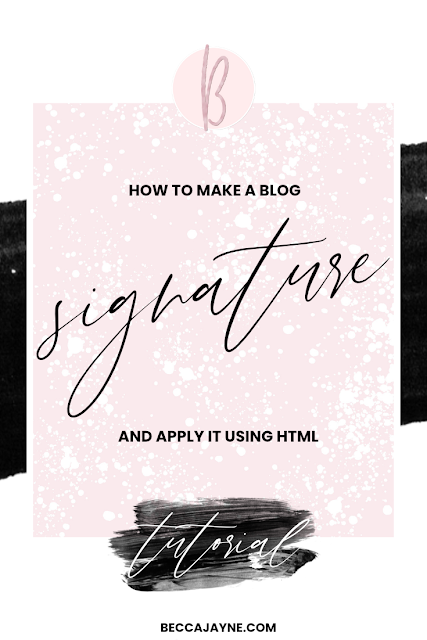 How To Add a Blog Signature (and how to make one) no skills required! 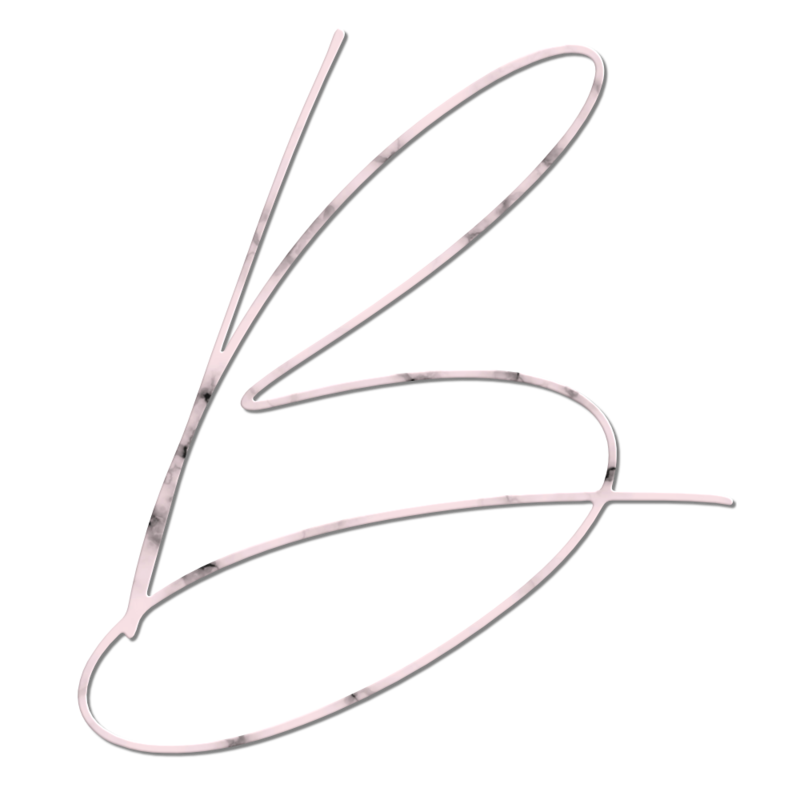 The basis of making a blog signature is having a blog. So whatever platform you're on, I'll try and get you covered below. First, you'll need a snazzy new Blog Signature to put on your blog. If you already have one of these, feel free to skip on down to Step 2 (below) and continue on. Whether you have Photoshop or make your graphics with a free online maker, you'll want to make sure your blog signature is the size you'll want it in your posts. Making a huge picture means you'll have to resize it later on. If you're comfortable with altering HTML, feel free to make your signature larger and resize with some CSS. I make my graphics with Affinity Designer, a paid tool/software that allows me to create endless designs with a one-off payment. Photoshop is another alternative, which you have to pay for monthly/annually. If you're looking for easy, free and no-obligations designs, you can make graphics with Ribbet, Canva and even Paint. I'll be showing you how to make it with a free and paid option so you get the idea of both. I'm going with an artsy-feel for my blog signature in this demo. I'll pretend my name is, for example, Candice. And she's a, say, Lifestyle and Home blogger who loves the colours blue and grey. So, taking these examples, I can create something unique that fits the personality of the blog and person. Starting with File > New > and entering 500 x 200, you'll get an image that looks like below. 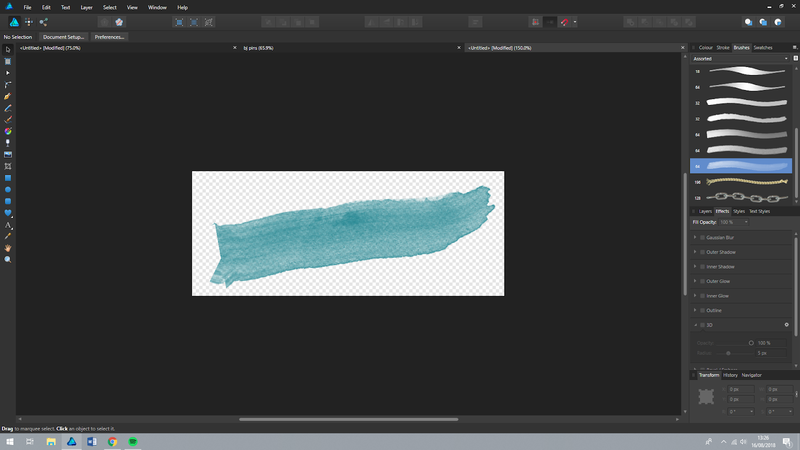 I'm then taking the paint tool with the watercolour swatch and making a blue-grey strike across. This will be the base for our text to overlap. Using a free option, you'll want to create a blank canvas with the same dimensions (500 x 200) and creating a similar option by using the free tools. You can find paint swatches on Etsy if you want to build your own, and even some free options on Pinterest. 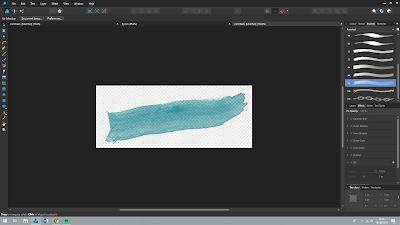 I've created the paint swatch below using Affinity Designer and the painter tool to create a nice background for my text. Alternatively, you can just use text without any background and use clipart to spice up the text. If you're after some free commercial use or personal fonts to use in your signature, check out my post for a collection of FREE FONTS! For this tutorial, I'll be showing you with the most popular platform for new bloggers (and experienced) which is Blogger. With Blogger, you'll want to go into your dashboard to start. From there, click on Settings on the left hand side. Then you want to click on the option "Posts, Comments & Sharing" and at the top you'll see a little line called Post Template. This is where you'll want your new signature. First you'll need to upload your signature to an image hosting website like Photobucket or my personal favourite, Vgy. It's completely free and hosts all my images here. From there, if you upload your image, you're given the choice of different links. You want to choose the link that says Direct URL on the right hand side. In the part where I have written post your URL here, put your Direct URL link there and paste the entire code to your Post Template in your blogger settings. Click Save and you are done! Now, whenever you begin a new post, your new signature will always be in your post template as you start! This means it's super easy to change and move and alter as you grow your blogging platform and it's easy to switch up when you want to change fonts/designs!